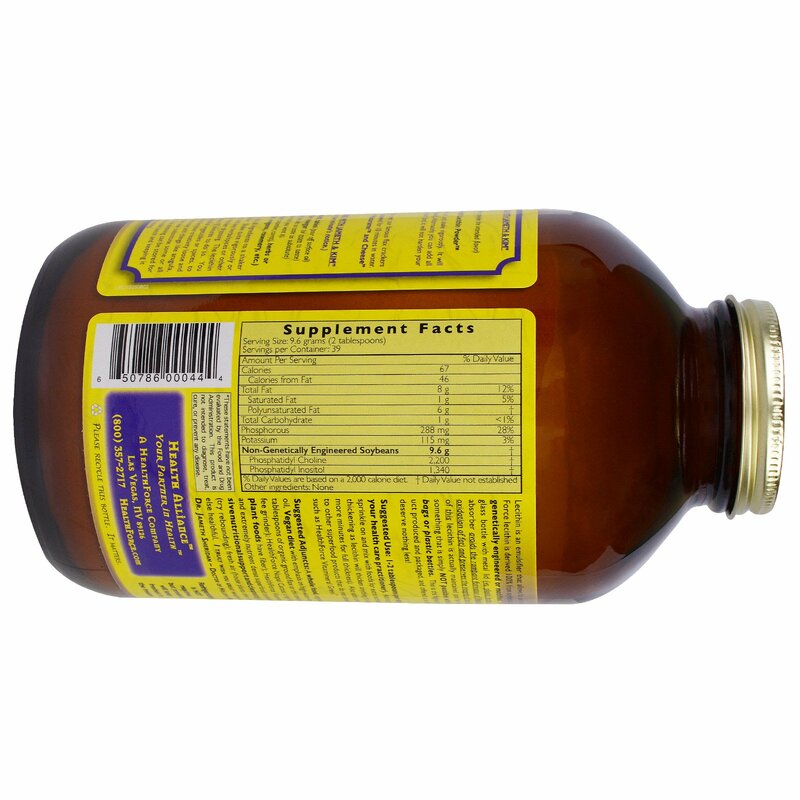 Lecithin is an emulsifier that allows fat and water to mix. 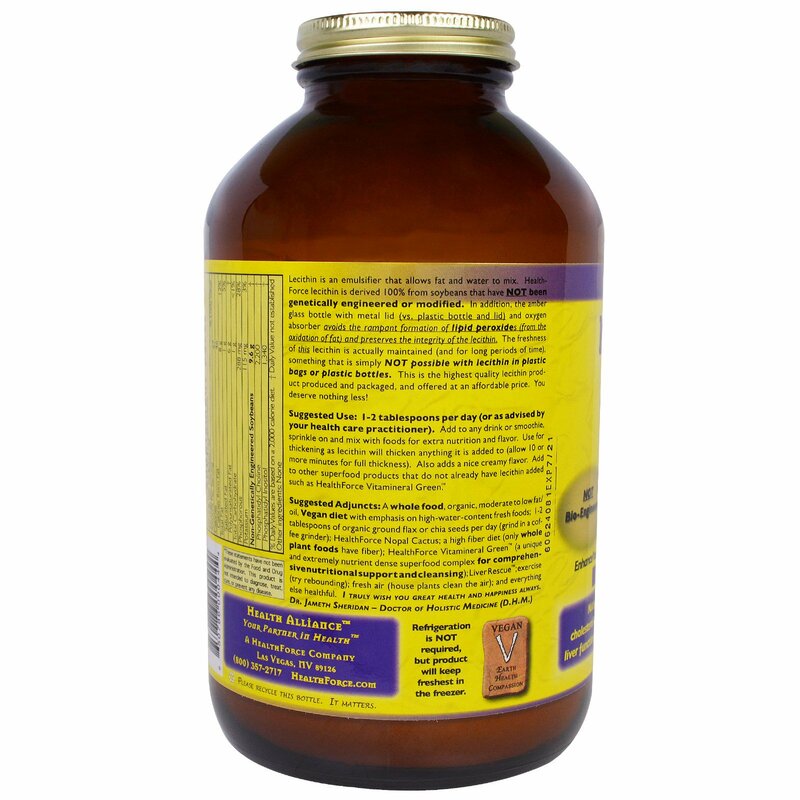 HealthForce Lecithin is derived 100% from soybeans that have NOT been genetically engineered or modified. In addition, the amber glass bottle with metal lid (vs. plastic bottle and lid) and oxygen absorber avoids the rampant formation of lipid peroxides (from the oxidation of fat) and preserve the integrity of the lecithin. The freshness of this lecithin is actually maintained (and for long periods of time), something that is simply NOT possible with lecithin in plastic bags or plastic bottles. This is the highest quality lecithin product produced and packaged; and offered at an affordable price. You deserve nothing less! 1-2 Tablespoons per day (or as advised by your health care practitioner). Add to any drink or smoothie, sprinkle on and mix with foods for extra nutrition and flavor. Use for thickening as Lecithin will thicken anything it is added to (allow 10 or more minutes for full thickness). Also adds a nice creamy flavor. 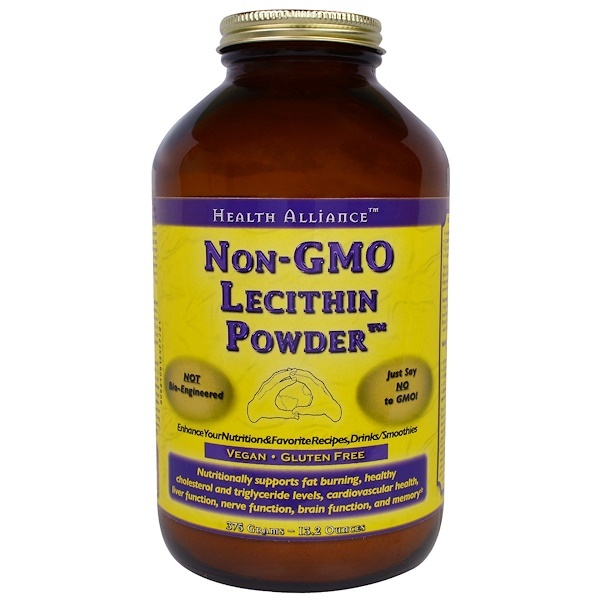 Add to other superfood products that do not already have lecithin added such as HealthForce Vitamineral Green. Refrigeration is NOT required, but product will keep freshest in the freezer. %Daily Value are based on a 2,000 caloried diet.